The third addition to Apple’s market-leading tablet series is, according to speculation, not too far away, with Chinese manufacturers Foxconn and Pegatron said to be working around the clock to produce the numbers in time for a purported March release. 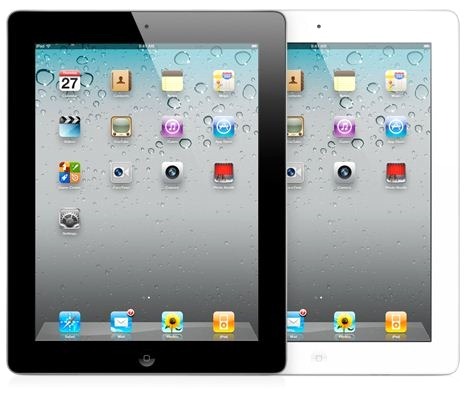 With the release apparently so nearly upon us, there’s been much talk about what we should and shouldn’t be expecting with the device, which we’ll rather cautiously presume to be called the iPad 3. But we don’t have to cast our minds back too far to remember that as plausible and supposedly cast in stone something may seem, unless there is an official word, nothing is certain. As such, I’ve put together a list of the key features I would personally like brought forth with the iPad 3. It’s been long overdue. When the iPhone 4 landed back in June 2010, we were immediately engrossed not only by its sturdy, sleek design, but that beautifully crisp display which made pixels imperceptible when watching HD videos, playing games, or running our daily digital errands. If anything, the iPad itself justifies the sharper display even more so than it’s smaller cousin. The iPad 2, though faster and slicker than the original, lacked a cutting-edge screen to truly pay homage to the great hardware and app development that had gone into it. Having released Newsstand in iOS 5 since the release of the iPad 2 back in March, and with Apple’s aim of revolutionizing Textbooks confirmed late last month, I believe the Retina display is a no-brainer, and if Apple doesn’t improve on the display this time around, I, along with many iPad users, will undoubtedly be bemused. Let’s make no bones about it; the camera of the iPad 2 is average at best and at worst, VGA-esque. Front or back – whatever way you look at it, the camera is unlikely to become a snapper of choice on Flickr – unlike the iPhone, which enjoys more use than standalones from Nikon and Canon. Although the 4S stepped things up a notch going from 5 to 8 mega-pixels, I reckon you’ll agree with me when I say that even if a new camera was only on par with the iPhone 4’s, we’d be satisfied. I use my iPad all the time, and whilst it’s great for keeping connected and being productive (as well as procrastinating), I often wonder whether it would be better off in my bathroom – as a mirror. A harsh criticism maybe, but having used other devices at smartphone and tablet level, the iPad is certainly one of the shiniest I’ve encountered. As much as I wouldn’t like the sleek finish to be compromised, I would much prefer to see just how great the new Retina display is, rather than my own, rather less-exciting face. As a side note, I wouldn’t mind seeing some fingerprint-resistance, since constantly cleaning the screen can be a trying task. Ever since Siri arrived mid-October along with iOS 5, it has scarcely been out of the news and I for one feel a tidbit cheated that the iPhone 4S is the only legally-supported device. I also never subscribed to Apple’s initial claim that its brand-new smartphone was the only iDevice capable of handling Siri. It was a clear marketing ploy aimed at enticing consumers to purchase a new device which, without Siri, was somewhat unremarkable, and didn’t truly offer much else by way of improvement. Early leaks of future iOS 5 versions seem to suggest iPad compatibility, so while we hope the iPad 2 will also enjoy the perks of Siri’s voice recognition prowess, at least the iPad 3 should get some Siri loving. OK, so I’m dreaming a bit, and we all know Apple is extremely unlikely to include this feature since it makes a nice premium from charging $100 per memory level. Having said that, it would be rather nice to have the option for more physical space, and I don’t think I’m alone in wanting as much space as feasibly possible on all of my devices. The 64GB iPhone 4S has been the most popular so far, which suggests we all want more than these rather limited real-estate quotas in order to bundle as many great apps, music and video as we can. So those are my five, but how about you guys? 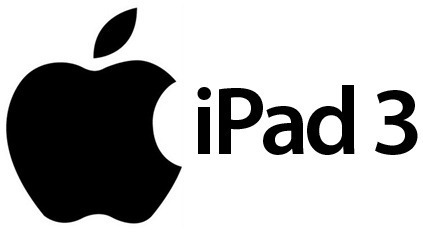 What do you think Apple should include with iPad 3?